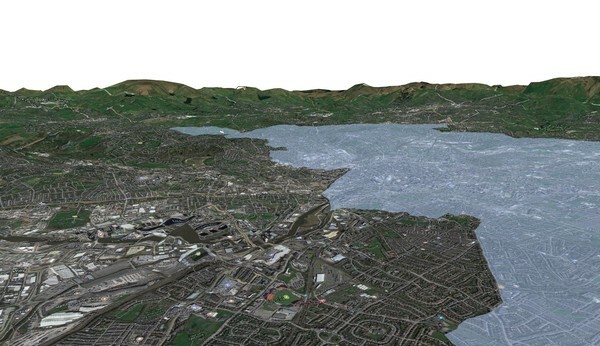 Using the 3D terrain modelling function in QGIS as well as SRTM data from NASA, I created a 3D map of North-West England. Here you can see the 2D view of the map; this gives a sense of the area and resolution of the map. 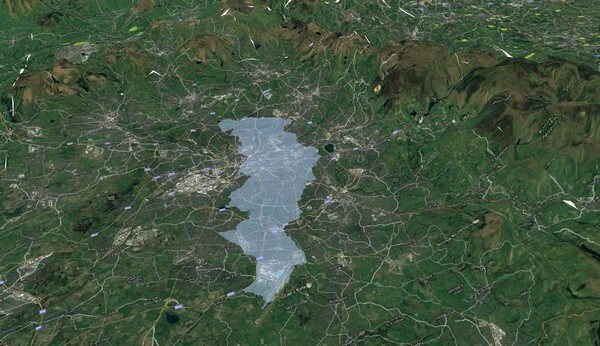 The translucent blue region shows the the administrative boundaries on the county of Manchester, just to give a bit more reference. 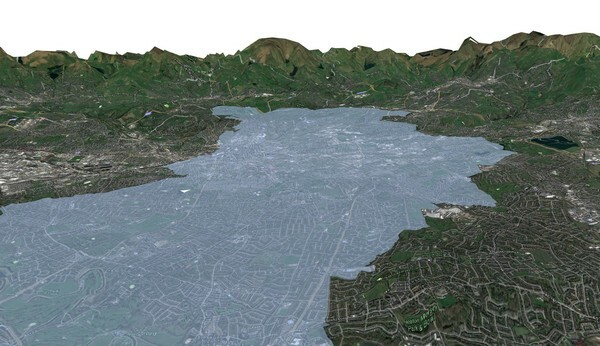 This shows the terrain generated from the SRTM data. The scale has been exaggerated to make the altitudinal range more obvious. The way that QGIS interprets this is that the darker the region, the higher the point. If you look closely, you might be able to see some white ‘gaps’. This is because it takes a lot of processing power to generate the 3D models and so it is best to allow an element of error. The result is that the edges of the tiles don’t always match up exactly. 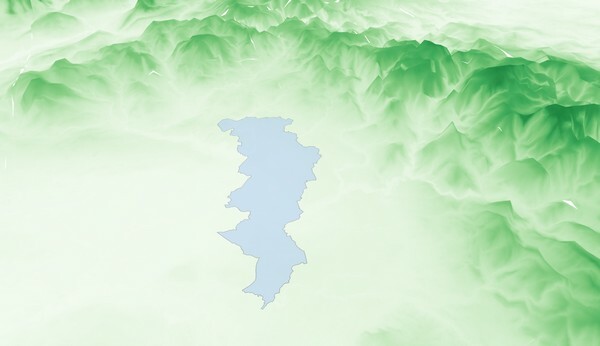 When I overlay the 2D map from the first step onto the 3D terrain, QGIS generates a 3D model. This can be dynamically manoeuvred and zoomed into/out of within the 3D browser to provide a real sense of reality to the model. Here are a couple more images of the 3D model.